Madame John's Legacy is currently closed for restoration. Individuals with special needs are requested to contact Museum staff members to make other arrangements. Madame Johns Legacy currently has no education programs available. Please check back at a later date. Madame John's Legacy is currently closed while careful and important work is being done to preserve this most historic building. Please visit our four other museums in the French Quarter. Major funding for the preservation of Madame John’s Legacy was secured by Lieutenant Governor Billy Nungesser and the Louisiana Department of Culture Recreation and Tourism from the State Office of Facility Planning and Control. Anyone with an eye for architecture will want to check out Madame John’s Legacy in the historic French Quarter. It is one of the finest 18th-century building complexes in Louisiana and one of the best examples of French colonial architecture in North America. The house survived the great fire of 1794 that destroyed much of New Orleans, but it is actually a product of another fire. The structures that were on the site in the early 1780s went up in flames, and Madame John’s was erected on the burned-out lot in 1788. 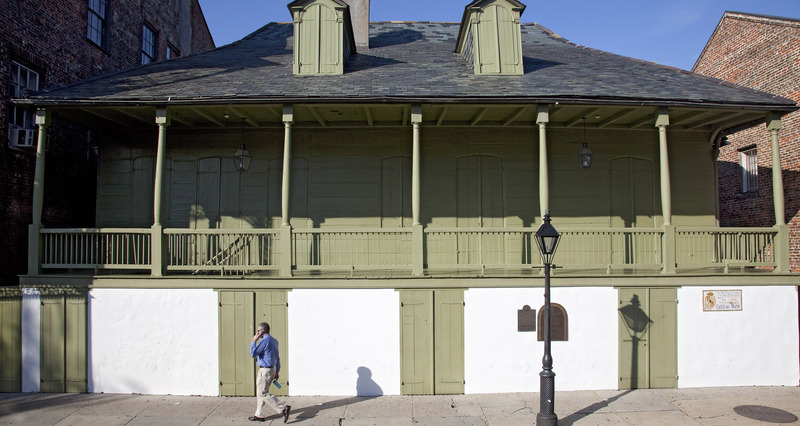 Madame John’s is an excellent example of Louisiana-Creole 18th century residential design. Due to its fine architectural character and historical significance, it is an official National Historic Landmark. The complex consists of three buildings—the main house, the kitchen with cook’s quarters and the two-story dependency. The house’s name was inspired by George Washington Cable’s 1874 short story Tite Poulette, in which the character Monsieur John bequeaths a Dumaine Street house to his mistress, Madame John. Though older parts of town were once dotted with similar structures, today very few houses like Madame John’s Legacy remain. Please visit our full calendar to see events scheduled at some of our other museums.